When Blackadder discovers that the Prince Regent is completely broke, he devises a plan to restore his fortunes through marriage. 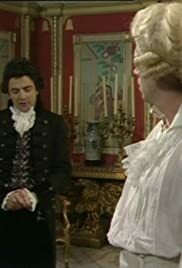 Blackadder: There are only two princesses in Europe available. The first is Grand Duchess Sophia of Turin. We'll never get her to marry him. Blackadder: Because she's met him. Not the best of Series 3 - still good, though.